If It's Not Part of the Contract It's Not Part of the Deal! If It’s Not Part of the Contract It’s Not Part of the Deal! A frequent source of contract disputes revolves around this simple statement. Business people often think that once they’ve discussed and agreed upon the deal, the written contract is mere formality. Many people tell me that the contract is for worst case scenarios and the relationship is key. I don’t disagree with the importance of the relationship. In fact, my own experience demonstrates that a well written contract will not repair a bad relationship. And, more frequently, I have found that the converse is true. We’ve all experienced business relationships where the contract documents were either minimal or non-existent but all went well. Before I address the issue of why you want to include all the deal points in your contract, I want to make mention of a typical boilerplate or “standard” clause that you find in many contracts. This Agreement constitutes the entire agreement between the parties with respect to the subject matter hereof and supersedes all prior and contemporaneous agreements, negotiations, promises, representations and warranties, whether oral or written, of each party. Let me tell you about a client of mine “Jim” and the importance of this clause. Jim, an independent sales representative, was approached by a manufacturer who asked Jim to represent its products on the west coast. The manufacturer had no presence in that region and had heard that Jim was very successful in pioneering new products into a territory. The parties agreed that Jim would be paid a higher commission than other sales reps as a result of the effort and expense involved in pioneering a product. After their discussions, the manufacturer presented its standard contract to Jim which included the higher commission rate. There was two clauses in the contract I’ll tell you about: One was a “Termination” clause that read: “Either party has the right to terminate this agreement at any time on giving 30 days written notice to the other”. The other was an Entire Agreement clause similar to the one above. EVP responded: “You know, I agree with you. We won’t terminate you, Jim, so long as you meet your annual quotas”. Jim – a very astute business person – asked the EVP to put that in writing. The EVP did. He wrote Jim a letter saying that as long as Jim met his annual sales quota, the principal would not exercise its right to terminate the contract on 30 days’ notice. For discussion purposes, I’ll tell you that the EVP dated and signed the letter March 1st. About 10 days later, on March 11th, the parties signed the contract as originally written. Five years went by. Jim was doing a fantastic job. He was consistently meeting and exceeding his quotas. 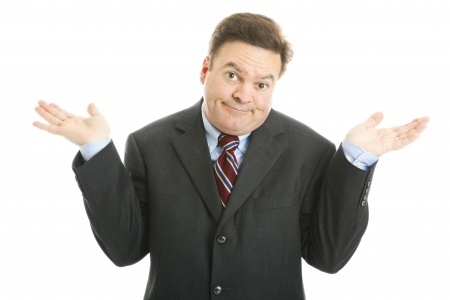 He was awarded “Best Sales Rep of the Year” award several times…..when…. The Manufacturer’s CEO retired. A senior management shakeup ensued. EVP resigned and a new Sales VP was brought in. New VP reviewed Jim’s contract, saw that Jim was getting a much higher commission than all the other sales representatives and sent Jim a termination notice. Jim tried unsuccessfully to negotiate a resolution with the Manufacturer before and after the notice of termination. Jim brought suit claiming that the Manufacturer did not have the right to terminate the contract on 30 days’ notice. Jim argued that the EVP’s letter reflected the actual agreement between the parties relating to termination. I’ll spare you the sad details but ultimately, the case was dismissed by the judge via a motion brought by the Manufacturer. Why? The judge said that the termination clause was clear and unambiguous. The judge pointed to the entire agreement clause which clearly indicated that the parties intended the contract as the final statement of their agreement. As a result, the judge could not admit into evidence a document that came before (or even at the time!) the contract was signed. What should Jim have done? He should have ensured that the language in the signed contract corresponded to his agreement with the EVP. All understandings should be included in the contract, and any term that is unacceptable or not consistent with the verbal and written agreements should be removed or changed. If any agreements have been reached in side letters or other writings, they should be specifically included in the language of the contract or attached to the contract as Exhibits. The “Entire Agreement’ clause may look innocuous, but its impact is critical! It signifies that it may not be possible to enforce any prior promises. If it’s not in the contract, it’s not part of the deal!